“Exporter of the Year”, Tectonic International Limited, founded in 1993, has installations in more than seventy countries. Manufacturer of the award winning range of video web inspection systems, Tectonic International is a global leader in the provision of clever and useful print verification products with designs based on “what the printer wants”. Market leader and supplier to the industry’s most prestigious printing companies and press manufacturers, Tectonic’s 24 years of continuous and impressive growth is the result of our dedication to the continued use of new technology in the area of print verification, the implementation of ISO9002 and CE quality standards and the provision of customer after-sales and service worldwide, which is second to none. Since 1993, Tectonic has been developing print inspection and supplementary systems and has been the “yardstick” for innovation within the industry.It has achieved this by listening to the needs of printers and by working with research establishments and universities to develop future-proof systems. No wonder Tectonic has customers in more than 70 counties world-wide and it may not be surprising to know that ONE customer has 250 systems in use – emphasizing that Tectonic plate mounting and print inspection systems are a true “future-proof” solution to the printing industry’s needs. Producing market leading, high quality, reliable products since 1993, we have the largest number of systems installed in a single source than any of our competitors and continually introduce new products with clever, waste and cost reducing features which, using the most up-to-date technology, are unique to Tectonic. Take a look at the clever “hands free” design of our FLEXICO V5 Plate Mounting Machine. We have a “live” demonstration video on this site. Designed and Patented by Tectonic International in 2005 the V5 is now considered the industry yardstick in plate mounting. Supplier to the industry’s most prestigious printing companies and press manufacturers, Tectonics’ seventeen years of continuous and impressive growth is the result of our dedication to the use of new technology coupled with the support of our accredited team of support personnel worldwide. 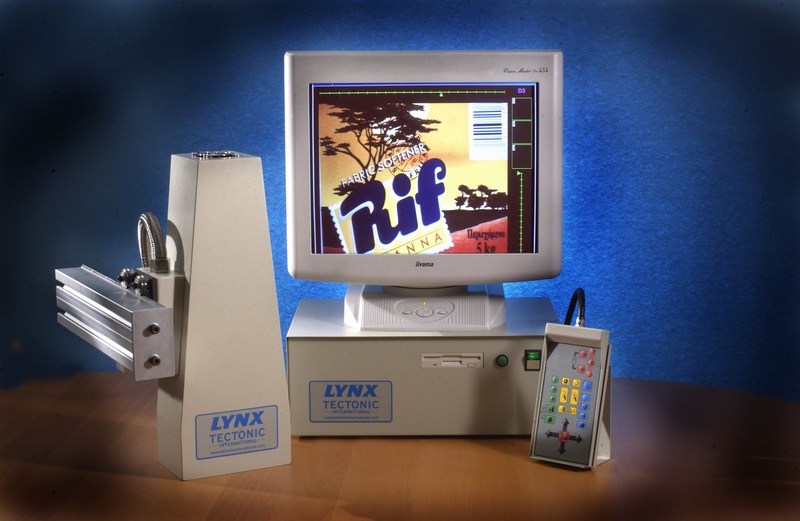 1993 – Lynx, the printing industry’s FIRST full-frame print inspection system based on PC technology. 1995 – CUB, the FIRST low-cost inspection system specifically designed for label printing. 1999- K1, the FIRST truly modular low-cost print inspection system that enabled Tectonic to guaratee next-day world-wide spares delivery. 2002 – K1 became the FIRST low-cost system to monitor hologram quality printing. 2003 – Jaguar became the FIRST complete print inspection system for wide webs based upon a fully flexible inspection methodology. 2004 – K2 Colour was the FIRST low-cost print inspection system that provided colour monitoring and the ability to transfer on-line images to a centralised inspection facility. 2005 – FLEXICO V5 was the industry’s FIRST hands-free plate mounting system. 2006 – FLEXOXIT was the FIRST system to provide high-speed de-mounting facilities to remove flexographic plates. 2009 – Tectonic is pleased to announce the development of its FIRST Register Control System. 2015 – PANTHER Ahead of the technology curve, using solid state storage, fan less intel CPU and the latest gigE progressive scan digital cameras. Panther provides solution for every print requirement.